A new high-speed patrol vessel has recently been introduced by the UK’s Border Force to protect the estuarial approaches to the capital.The spread of shallow waters off the Kent and Essex coasts can provide a secret and fast way into the capital for human traffickers, drugs and gun runners. The new ‘Eagle’ of the Thames can outpace these smart alicks who twist and turn through the estuarial approaches. She showed her paces off to the press and media and also took me by surprise – she gave hardly any time for me to reach for my sketch book! She will be based at Wapping, the HQ of London’s maritime police. From here conventional patrol boats are stationed and maintained using fast rib patrol boats capable of transporting platoons of commando-like coppers with speed, flashing lights and sirens, just like their land-based counterparts. Regular practice runs are a sight to see as well as their smaller conventional craft which have plodded up and down the tideway for donkeys’ years. Fast reaction is now the name of the game, and closure of conventional water-based police transport. The Greenwich police station and residential facilities just off Royal Hill have recently closed their doors, but the alarming passage of police cars out on a ‘shout’ still prevails causing young and old to leap out of the way!! The UK’s first marine police were based along the Thames since 1798 to protect the vast amount of shipping which lay in the tideway awaiting space to unload at the licensed quays where HM Customs could raise extensive import duties. Pressure from the East India Company and similar great trading companies forced the opening of further police stations downstream from Wapping to the Isle of Dogs and North Kent. Nowadays the Metropolitan River Police cover the Thames from Teddington through Westminster, the City and Docklands to the Dartford Crossing, where both Kent and Essex protect the Estuary with their specialist marine divisions. HM Customs, Trinity House, RNLI and other institutions keep a weather eye open, with the Royal Navy taking responsibility for the open sea with HM Fisheries and Border Control craft playing a more significant role. The security situation is for ever challenging and has always been so. That’s why Lord Nelson – after his 1821 success at Copenhagen – was then drafted into protecting the East Coast and Thames Estuary with the formation of a fast reaction fleet manned by sailormen who traded in these waters. 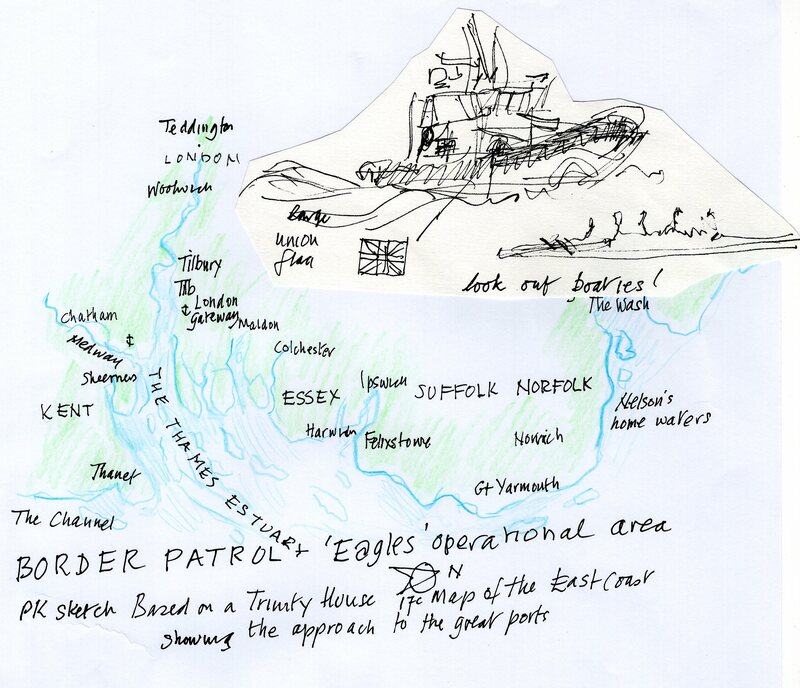 Trinity House created a cross-river barrage with their craft at the height of the threat. 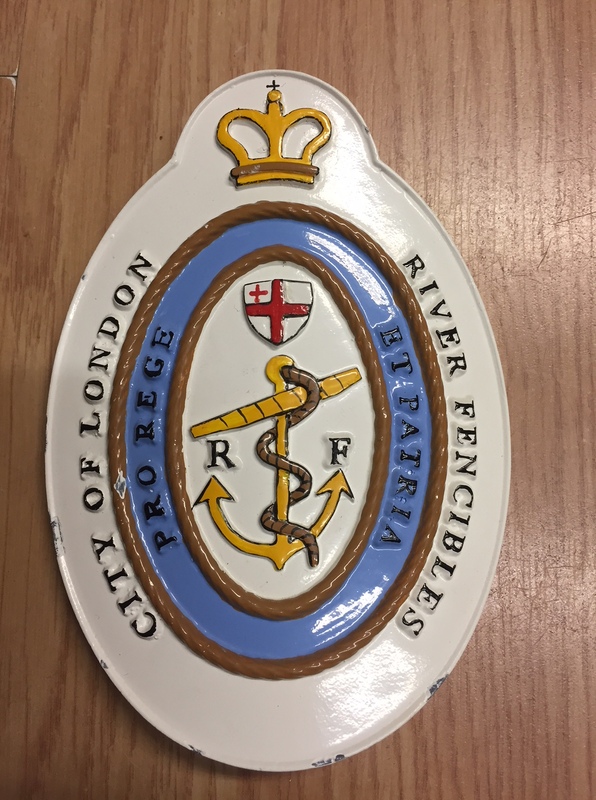 The so-named ‘fencibles’ fitted the bill to form a defensive flotilla organisation controlled by the Royal Navy and the City of London Corporation. The rowing and ‘boatie’ community still volunteer! !